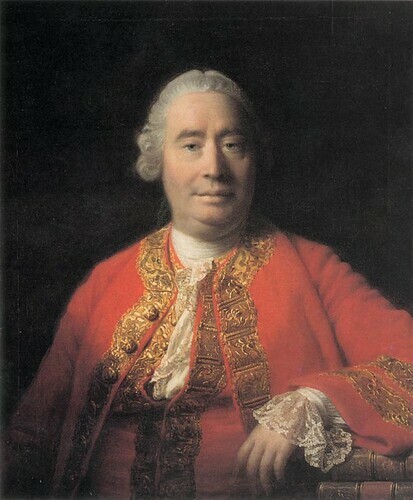 David Hume was a Scottish philosopher and historian, regarded as one of the most important figures in the history of Western philosophy and the Scottish Enlightenment. Hume was an empiricist, arguing that we should only believe those things for which we have good evidence, and has been a major influence on the development of Anglo-American philosophy. Hume believed that morality was based on feelings of sympathy with other people, and that benevolence towards others tends “to promote the interests of our species, and bestow happiness on human society.” Hume himself was a happy and benevolent man, believing that the recipe for happiness was moderation and variety. Hume was widely loved and respected, and the street in Edinburgh where he spent his last years was nicknamed “St David’s Street”. 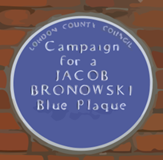 He expressed his atheistic views in dramatic form in Dialogues Concerning Natural Religion (in which he criticised the “Argument to Design”), but prudently did not publish this in his lifetime – he was not openly an atheist at a time when such a stance would have been a difficult one. Hume wrote his own epitaph: “Born 1711, Died [—]. Leaving it to posterity to add the rest”. It is engraved with the year of his death 1776 on the “simple Roman tomb” he prescribed, and which stands, as he wished it, on the Eastern slope of the Calton Hill overlooking his home in the New Town of Edinburgh at No. 1 St. David Street. Hume is also memorialised by a bronze statue in Edinburgh and a statue on the rear of Burlington House, London.